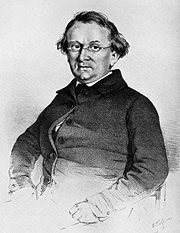 Eduard Moerike was a German Romantic poet of the so-called Swabian school in Southern Germany. He was born in Ludwigsburg, near Stuttgart. He was a Lutheran pastor. His poems are mostly lyrics, often humorous. They are expressed in a simple, natural language. Many poems of his have been set to music.